Looking for an expense and budget tool? Stop searching. Expense Manager is simple, intuitive, stable and feature-rich app that is just designed for you. 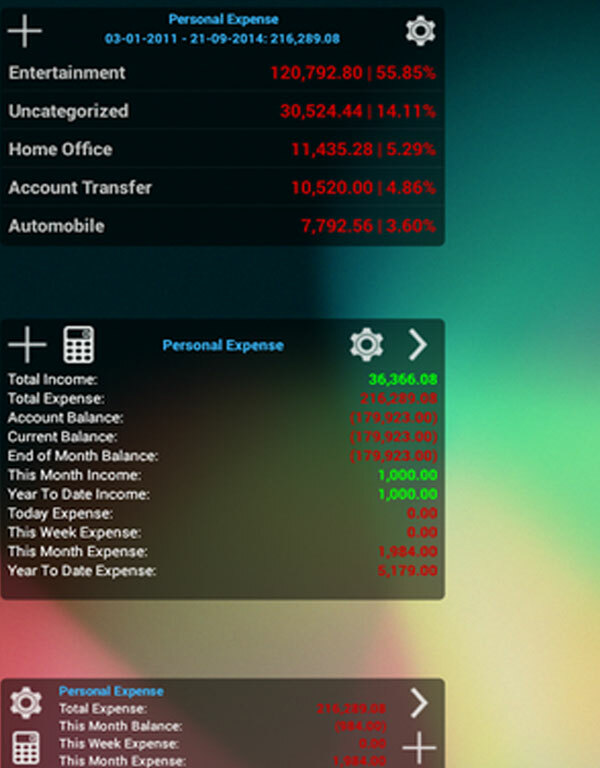 Everything you need at your fingertips to manage the expenditures and budgets. You can download it from Google Play for free and it have a 4.3 star rating among android users.